Amazon.ca has launched exclusive pre-orders for the Super NES Edition Nintendo 3DS XL console, available for $239.99 and comes with free shipping and also eligible for Prime. This limited edition release is for North America and is only available on Amazon in Canada and the U.S., set for a November 27th release. The Super NES Edition Nintendo 3DS XL (what a mouthful) comes with a free download code for Super Mario Kart, one of the best SNES games ever. 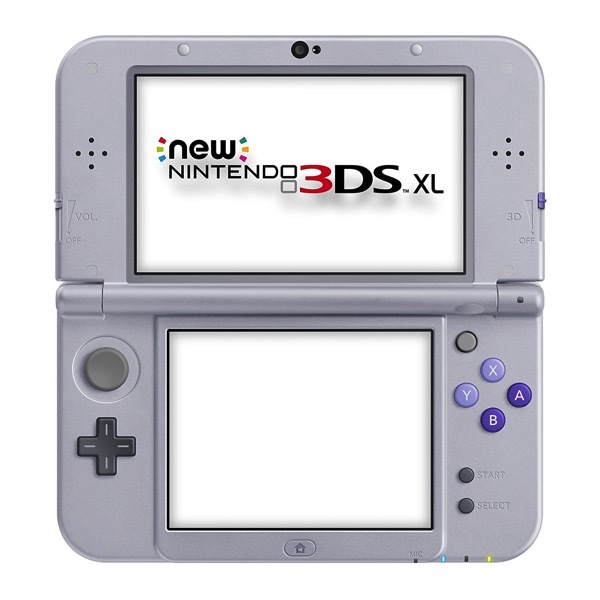 The New Nintendo 3DS XL plays all Nintendo DS games, will allow you to take 3D photos and also play games that support its new 3D technology. 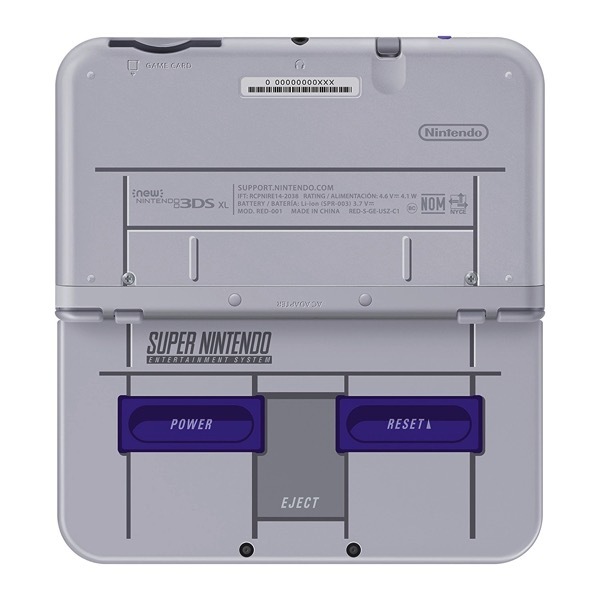 Last month, European Nintendo fans were the only ones to get the new Nintendo 3DS XL in a retro SNES Famicom skin, but now North America gets their turn with their own SNES 3DS XL handhelds. This is yet another retro release from Nintendo, which released its Super NES Classic Edition at the end of September for $99 CAD, still nearly impossible to find in stock in Canada. 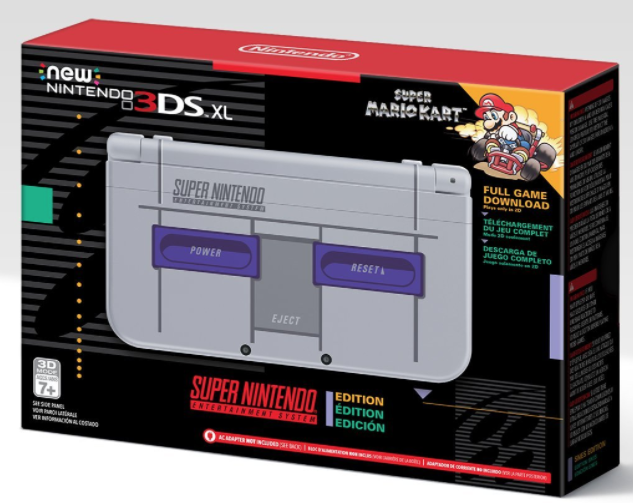 Click here to pre-order the Super NES Edition Nintendo 3DS XL on Amazon.ca—you don’t need one, but you really need one (you can always return it if you change your mind, right? ).